I was quietly checking some facebook posts and saw that this picture of my most amazing Crystal Skull “Joy” was liked and that the post was 4 years old. It was one in which I had done a talk show with Allayah Frisch on the topic of Crystal Skulls. As I read the comments it was a challenge to remember it all and yet I knew that it had occurred. It just seemed so long ago and I was actually fearful of listening to it. My journey with Crystal Skulls began with a visit to the Ancient Skull known as MAX. I remember years ago when a woman in my Reiki Class mentioned that she and her sister were going to see MAX in New Hampshire and asked if anyone was interested in going with them. I had just begun my work with crystals and their energies, and now I am finding out that there were crystals carved into the shape of skulls in ancient civilizations, and that they were known to communicate with those who were open to receive information from them. Oh My! Well I chose to go without researching these Skulls or seeking what stories were told about them. I wanted to know nothing and be innocent. Going just to experience this energy, which these sisters were all excited about. As you can see I not only met MAX but my life changed dramatically when he guided me to enter into his world as if I was a long-lost friend. Welcoming me as if we knew each other in many lifetimes and were family members in many dimensions. My mind sort of melded with his and we began a journey into a world that was filled with lines of energy that crossed each other in patterns and colors which is still hard to put into words, but the energy came to life in ways that I still cannot explainand was familiar in some strange way. Sometimes it is in accepting something we cannot fathom, that makes no rational sense to our minds, that awakens us to parts of ourselves which have been dormant during this lifetime. Allowing us to see ourselves as part of a much greater Collective of Consciousness that defies logic, yet can communicate with us if we step just a bit beyond our fears and limitations. 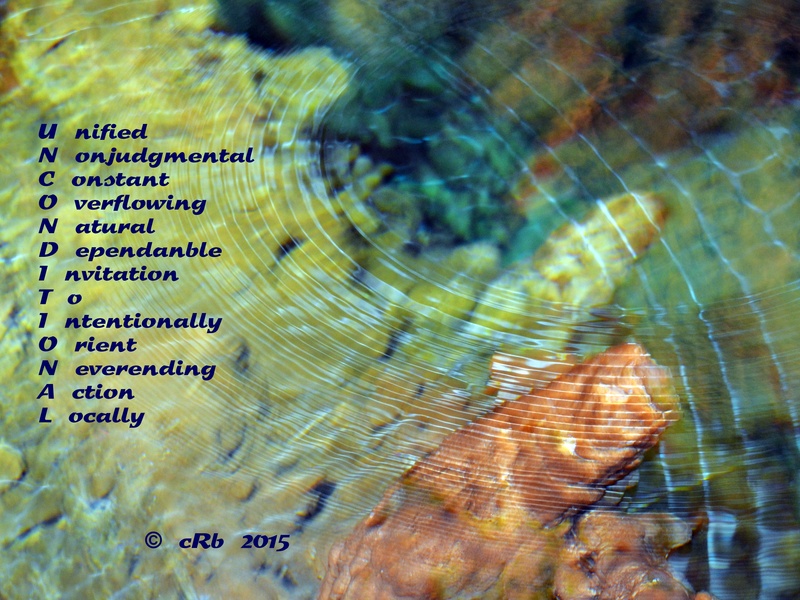 The message from Joy on the picture above came to me as I was enhancing the photograph to save and repost. Some may say that it is from my Higher Self, some may say I’m in an altered state, perhaps a bit delusional due to drugs or psychosis which are not at all the case. I have been constantly embraced by these wonderful Crystal Guardians ever since that first meeting with MAX. However as part of a larger group of people who are now shifting genetically and receiving information from previously unaccepted sources I share this with you. Partly to allow you to learn that in all these communications there is no fear nor are their any hateful, angry or negative energies. All are for the expression of that which is best or most high and well for humanity and all life forms. Perhaps as you read the message and gaze into the picture ,you will see something within yourself, that reminds you of how much more you truly are as a Beautiful Being that dwells in a physical body here on planet Earth. Allow yourself to accept that part of You, which as a child you were taught to deny as fantasy or your imagination and know that you were not crazy back then and you are not crazy now. You are all amazing Beings of Peace, Light and Love which need to accept your True Self. Even if you have no one else to talk to about it. The day of 11:11 has now passed but it’s Light shines on. Within each of our hearts it will remain as we begin to share with each other the higher aspects of ourselves. 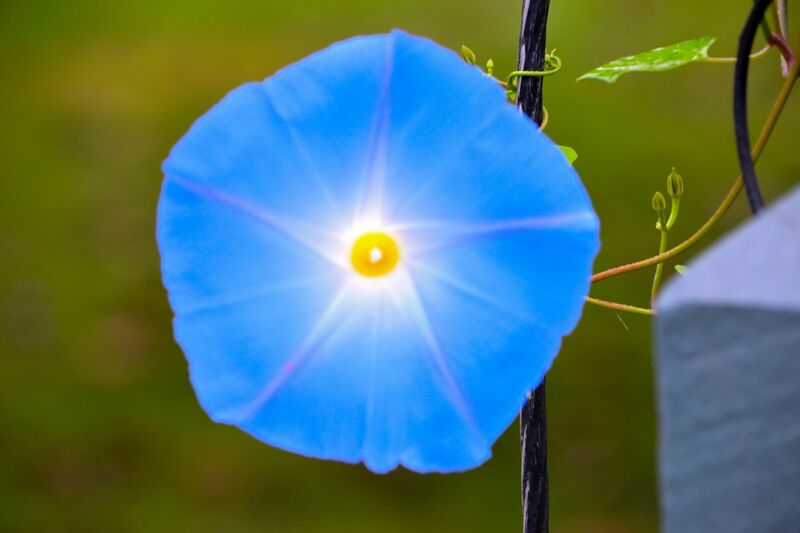 May Miracles change your perception and bring you into the Light that you truly are. Today the reflection is one of visioning a New World. It reminded me of the lovely Bermuda sands with the ants working so harmoniously. Their goal unknown to me and their vision undaunted by my presence. 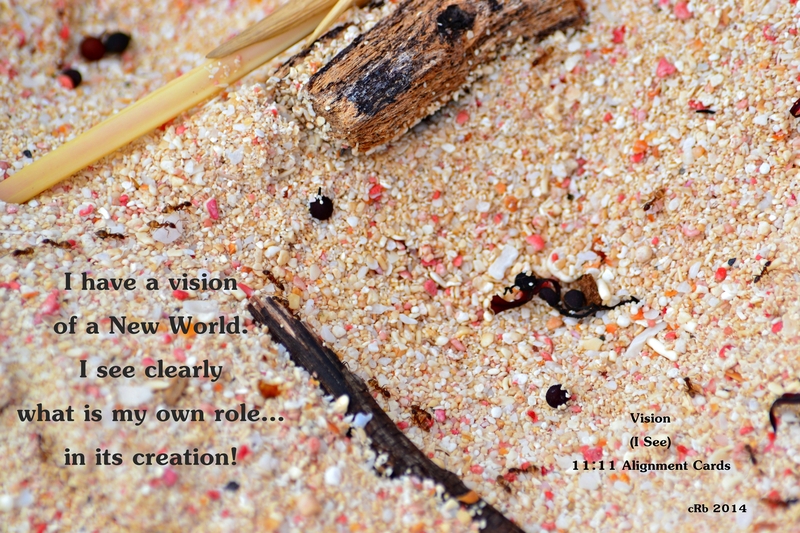 We are much like the ants with their vision, having a higher more evolved consciousness looking down, watching our determination to create and sustain our life here on these grains of sand we call planets. What is your vision for a New World is it one of working together in harmony for the benefit of all or is it to continue in the paths of separation and dissolution. 11:11 is a reminder for us, a gateway to once again look into our hearts, to truly assess every part of our existence and choose again. Your Angelic Presence is needed here and now is the time to access and anchor it in. 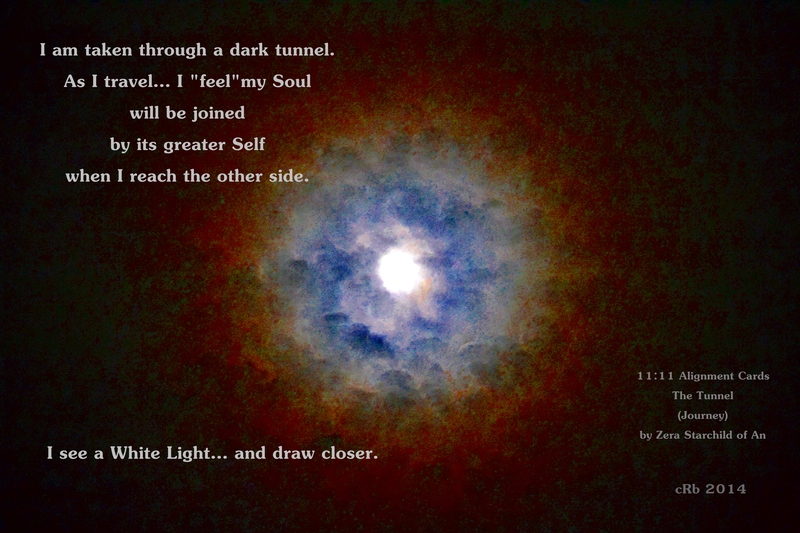 Yes Day #3 on our journey to 11:11 and sliding down off the Full Moon’s energy. 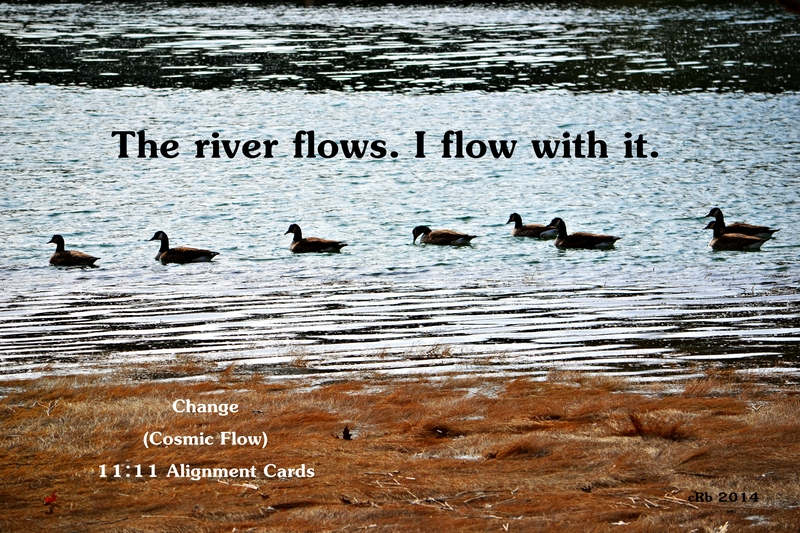 It is an amazing card today and perhaps puts it all into perspective… “Change” (Cosmic Flow). The small drawing on the card resembles the wave patterns on which these Geese so comfortably carry out their life as usual. However for us, there is a very distinct noticing of how the river flows, the River of Energy. In our personal perception we are given the opportunity to choose how we react with it and change our lives forever. As I reflect on this I am reminded of a question, although I forget the context of how I arrived at it. As well as perhaps, the correct wording, but it is so apropos today. Would you rather be a rock in the river, or a leaf upon it? So here we are on day 2 of our journey of reflections with the 11:11 Alignment cards and with a powerful Full Moon last night to raise our vibrations. The card for today is so appropriate on many levels and I chose a picture which was taken on the last Full Moon at approximately the same time my 96 year old neighbor Phyllis passed away. A very dear soul whose Love for everyone was so natural that you might have thought she was truly an Angel incarnate. The Journey is ours to behold with all of its many facets including Birth and Death. 11:11 is a reminder that we have the ability to change anything and everything about ourselves if WE SO CHOOSE. Our human lives are of course regulated in time, yet WE are so much more than ever could be explained. We now approach 11:11:2014 which numerologically is also an 11 (if you add all the numbers individually). 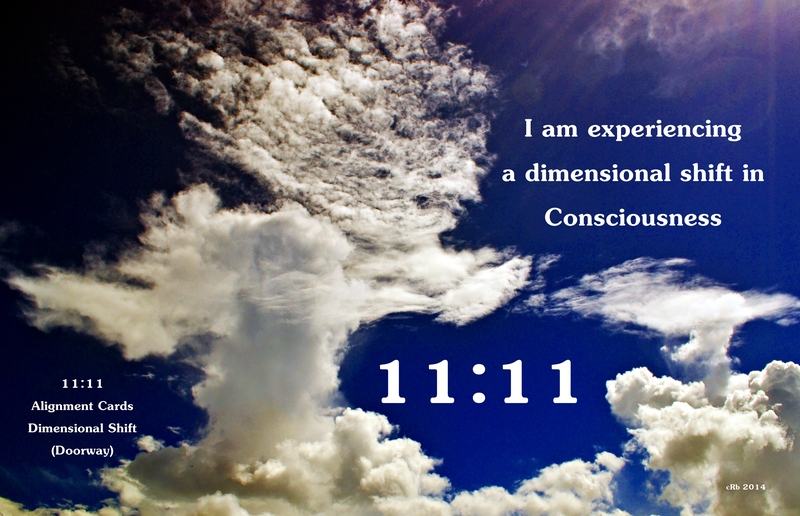 I have always thought of it as a gateway to connect to higher dimensions of ourselves and when I see on the clock, as a symbol and confirmation of our continued conscious awakening. Sort of a cheer from our Higher Self saying, “Keep Going”. 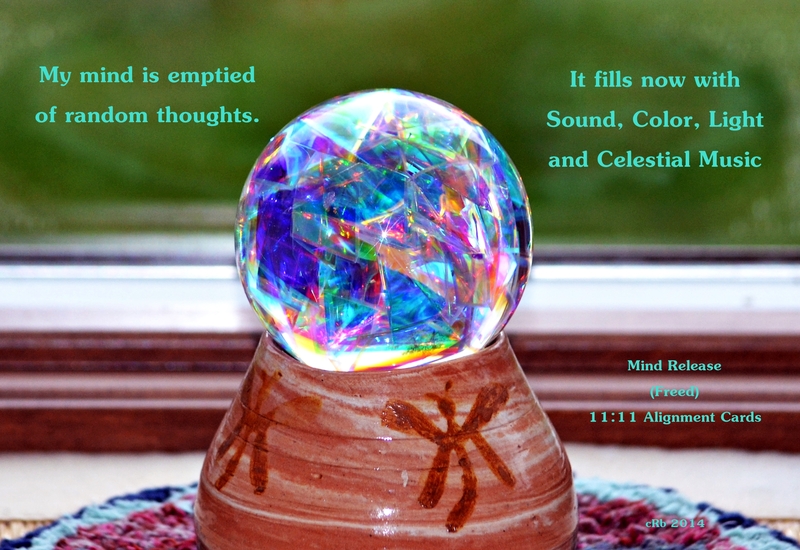 So with that said, I will be melding together some of my photos with words from the deck of cards “11:11 Alignment Cards” – A Tool for Aligning With and Anchoring in Your Own Angelic Presence by Zera Starchild of An. 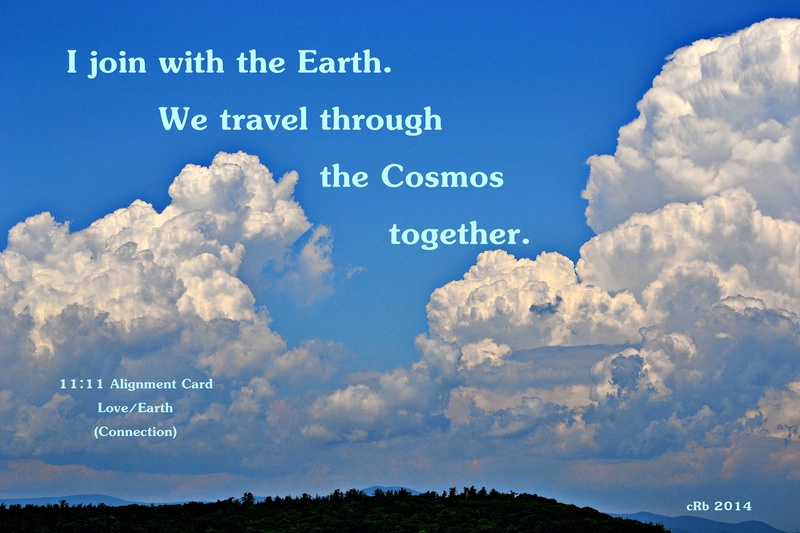 Enjoy the connection and the journey through time and space as we embrace each other in our continual process of transformation.